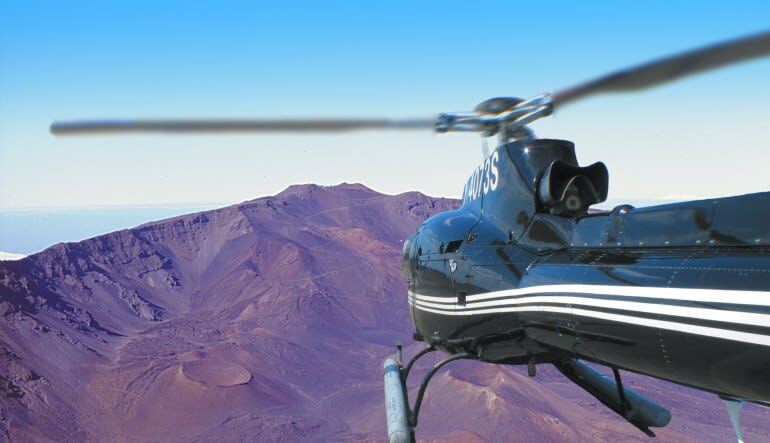 Haleakala is the largest dormant volcano in the world and this Maui helicopter tour takes you right over it! From the top, spot the lava flow from the Kaupo and Ko’olau Gaps. Rainforests, old city views and waterfalls snatched right from Eden pepper the volcanic adventure. You’ll even travel to the volcano’s mysterious back side to explore untamed landscapes never traveled by foot. 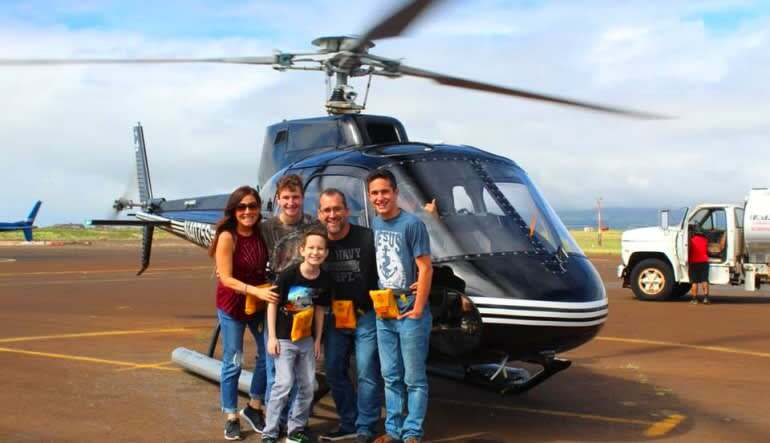 Fly in an FXStar chopper on this 45-minute Maui Helicopter Tour. 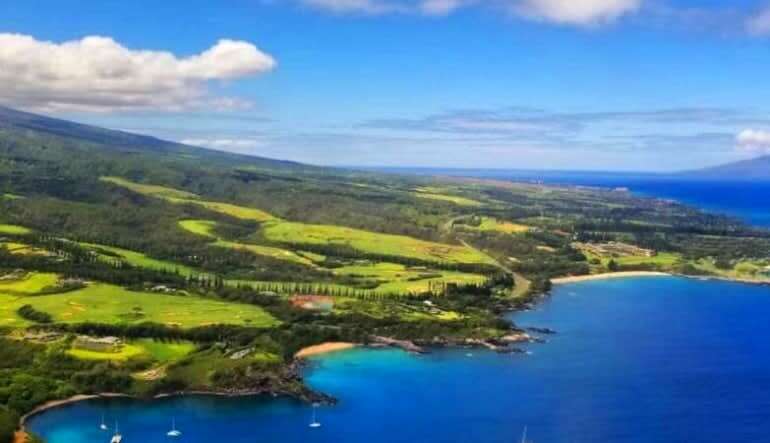 Climb Haleakala and witness its lava flow right into the sea. Be awed by the percolating Kaupo and Ko’okau Gaps. Travel to the Volcano’s secluded “back side”. 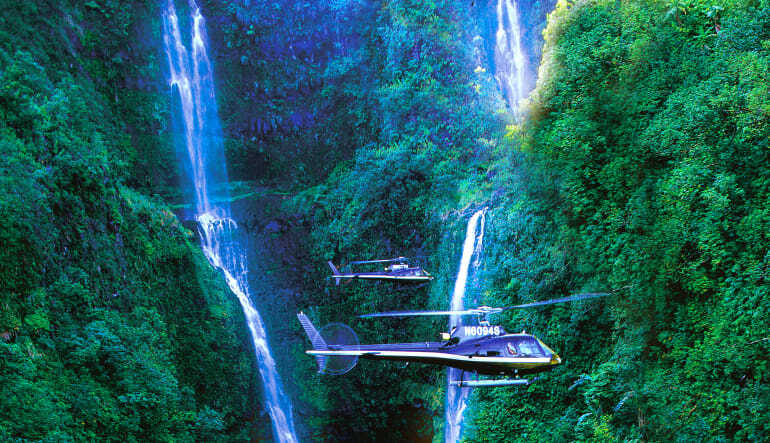 There, you’ll marvel at the 180-square-mile Hana Rainforest. Soar over Old Hana Town. Snap photos of Haleakala National Park, Ke’anae’s taro field and Kipahulu. 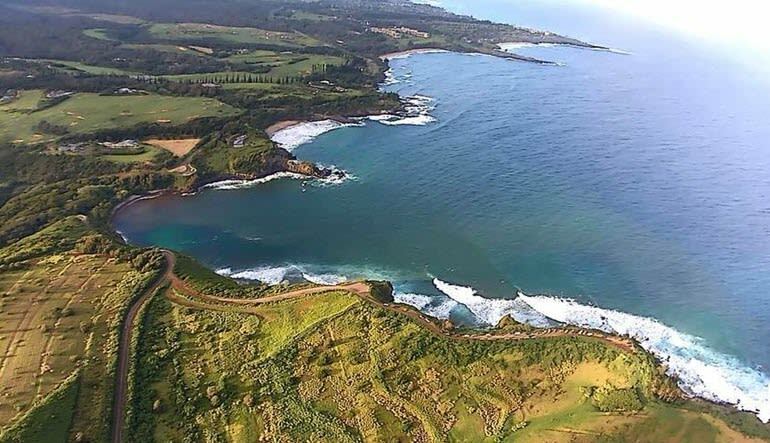 Continue along the coastline to the famous Ho’okipa Beach! What’s more, you see it all from an FXStar Helicopter, the chopper of choice for pro photographers and sightseeing aficionados. Benefit from the big windows, big space and best views imaginable. Book now!